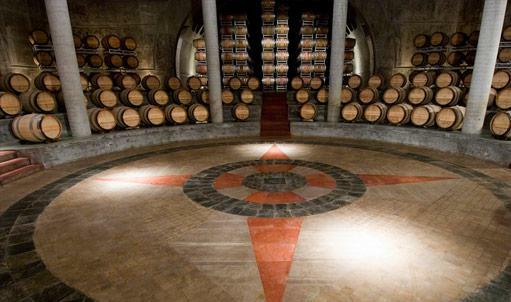 Bodegas Salentein is located in Mendoza, an Argentinian province that is synonymous with wine. The soil in this region is sandy and loamy, and the weather, dry, with very hot days and very cool nights. The presence of over 900 bodegas and 145 thousand hectares (358 thousand acres), of vineyards explain why this region is the most important wine-making area of the country. However, this land has much more to say. This is Bodegas Salentein's belief, and it acts in consequence, spreading at an international level the emergence of first-rate bodegas in Argentina. A new vision of the quality –with classic varietal plantations, preservation of ancient vines, re-application of artisanal European techniques, and the use of advanced technology- gives as a result wines of international level. The bodega is located at an elevation of 1.200 meters (4.000 feet), right in the vineyard's center. More than 49 hectares (121 acres), of native desert habitat were preserved and are a part of the bodega's everyday landscape. The western horizon is dominated by the close snowy Andes, which have an elevation of over 6.100 meters (20.000 feet). The magnificent bodega was designed taking into account two aspects: the shape and the function. The cross shape facilitates a careful management of the grape and the wine, while it allows a reduction of the path that both the fruits and their product traverse throughout the stages of the process. Each wing is itself a little bodega with two levels. In the first one, stainless steel tanks and French oak casks enable fermentation and storage. While, in the subterranean level, the wine is aged in oak barrels. Both floors allow the circulation of the tanks' liquid to the barrels through a traditional system of gravity transference. The four wings converge in a circular central chamber, similar to an amphitheater, built inspired in the classic temples of antiquity. The subterranean bodegas are located eight meters (26 feet) underground and have a constant temperature of 12°C (54°F), with an 80% of humidity in the environment. The wine is aged in small French barrels made of oak, of 225 liters each. Altogether, these level houses 5.000 barrels. Another characteristic of the cellar is its stone floor. Seen from the superior level, the floor of the central chamber shows an important design, of strong symbolic content: it's based on the wind rose, with each end oriented towards the cardinal points. In this way, it represents its relation with the rest of the world. For this floor's construction, natural stones of the Cuyo region were used, the yellow quartzite sandstone, the green chlorite of schist variety, and the red limonite sandstone are among them. Medium ruby color. Bouquet of Ripe plums, cherries and blackberries are complemented by a hint of tobacco. A balanced and complex wine with flavors of redcurrants, black cherries and cinnamon. Wine and Spirits 92“This is a vibrantly fresh and crisp interpretation of malbec from the height of the Uco Valley. Rather than impressing with super concentration and barrel notes, it excels in its purity, the focus on fruit, delicate and multi-hued."